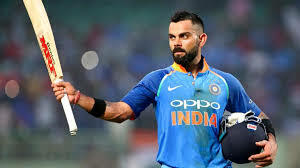 The Indian captain, Virat Kohli was included in the list of the Wisden’s Five cricketers of the year and he became the first player, who win award for three consecutive years. Virat Kohli With New World Record. It is pointed out that the cricketers can get Wisden’s cricketer of the year award for feats they got during the preceding English domestic season once in their career. 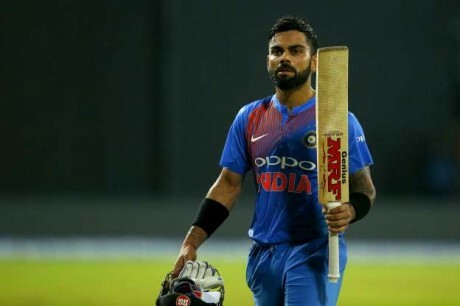 Virat Kohli was criticized over his performance to play in English conditions, when India was on tour to English last year. He played well there and his performance was put doubters to bed, when he topped test runs chart with 593 runs and two centuries, when his team was facing the defeat by 4-1. This leading player is leading the best batsmen charts in test cricket and one day internationals as he scored 2735 runs in 2018, which is 700 more runs that the second placed Joe Roots. The Indian woman cricketer, Smriti Mandhana won the women’s award and leg spin bowler of Afghanistan, Rashid Khan maintained his position on T20i award.